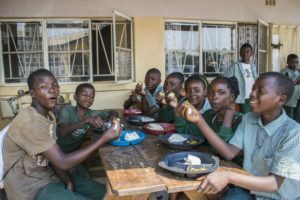 At the beginning of 2018, The Hope Community School Vegetable Farm was just a dream in the making. 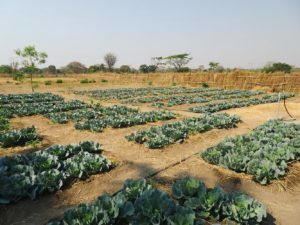 A new project at our partner organization in Zambia, intended to create growth not only of beautiful vegetables, but growth within the community as well. This hope has held true as the farm continues to bring the community together through volunteer and employment opportunities, while teaching agricultural skills to everyone involved. We are excited to share the farm’s progress with you! 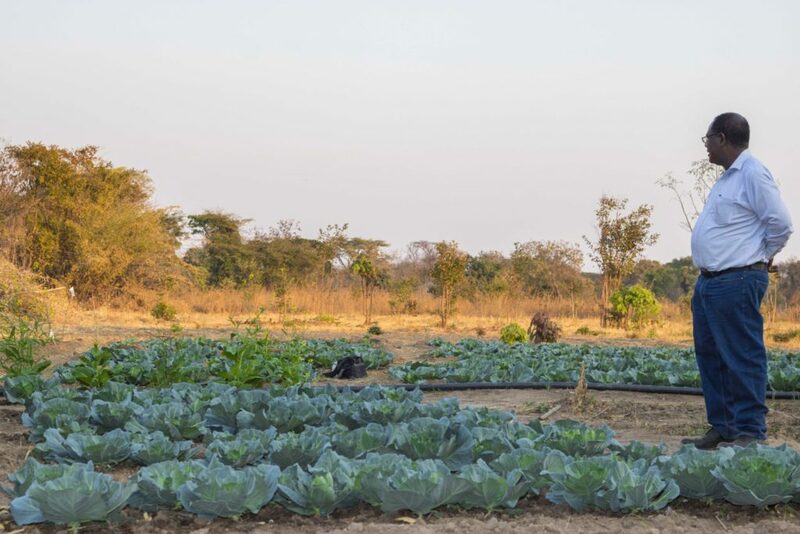 It’s hard to believe that at the beginning of this year, the Twapia farmland purchased by our Zambian partners was pure bush – difficult to access unless you had a machete to cut your way through the thickets. Now, 5 acres have been cleared and tamed into precise rows of vegetables (the farm has 25 acres in total, so there’s still plenty of work to be done). 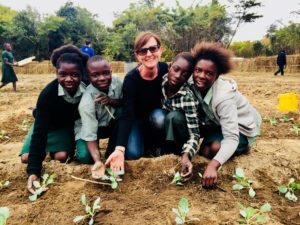 Spark’s Managing Director, Kristin, spent some time at the farm during her visit to Zambia in July of this year. The work to tame this initial swath of land into the beginnings of a productive farm has been an incredible community effort. Students, parents, families, and teachers from Hope have all worked together to remove the bushes and vines and to plant the crops. Spark Ventures travelers have also spent time at the farm, assisting with planting crops from cabbages to banana trees! The first pilot crops have been very successful and are already being used to help supplement the meal program at Hope Community School. As the farm expands, the potential of its growth expands with it. Thanks to generous donations from the Dewan Foundation, living quarters for the farm workers are currently being built as well as their first years’ salaries paid. The farm has been an exciting project to watch transform and is sure to make a difference in the lives of the children at Hope and the people of Twapia. If you’d like to see the farm first-hand, you can join our upcoming Zambia trip in January 2019 more details at sparkventures.org/travel.